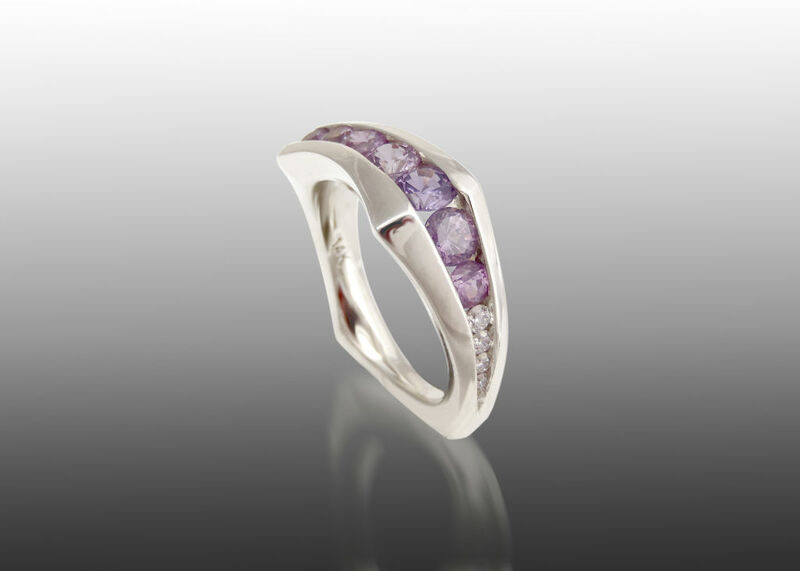 A custom designed white gold ring set with sapphires in various shades of purple and diamonds. This ring is designed with a tapered square shape and a wandering channel of stones which twists around three sides of the ring. Each piece is handmade and can be modified to suit your taste. 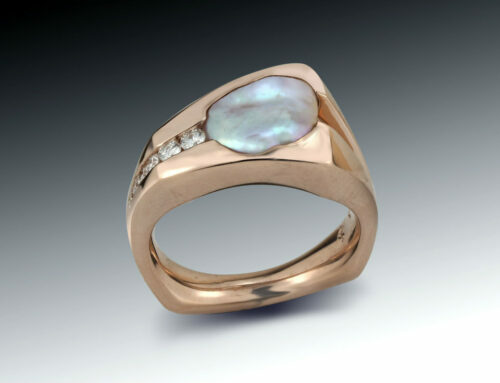 Available in a wide range of gemstones and metals.